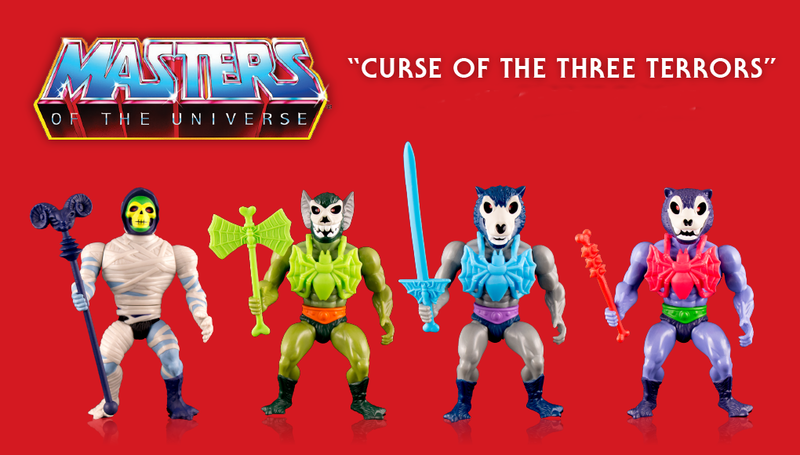 If you missed out on the San Diego Comic-Con 2016 Exclusive Glow in the Dark Edition last summer, Super7 has finally released the standard edition colorway of their awesome Masters of the Universe Curse of the Three Terrors action figures! 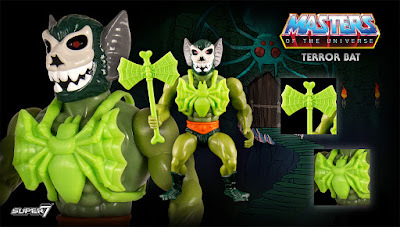 The all new vintage-inspired line of Masters of the Universe action figures continues with full-color, cartoon accurate characters from the new MOTU animated short “The Curse of the Three Terrors”! The wave of figures includes “Possessed” Skeletor, Terror Wolf, Terror Bat and Terror Jaguar. “The Curse of the Three Terrors” is the first new Filmation-style Masters of the Universe animation produced since 1985 and was created by Super7 under their partnership with Mattel. 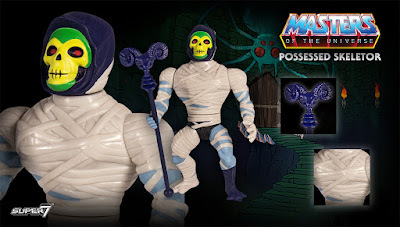 It even features the original voice of Skeletor, Alan Oppenheimer, and is available now on iTunes, Google Play, and Amazon Video. Each Masters of the Universe Curse of the Three Terrors action figure stands 5.5” tall, includes a character specific accessory and comes packaged in full color classic-era blister cards. 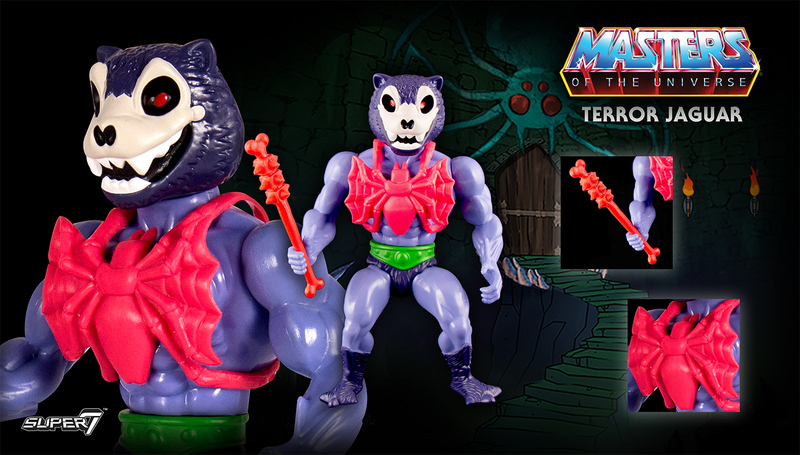 Fans can pre-order these awesome figures now at the Super7 online store. 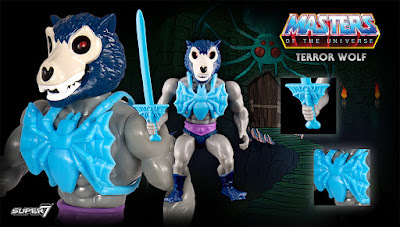 It is $100 for the complete four figure set or $25 for each figure individually.